A thrilling 2016-17 NBA season has thus far delivered entertainment, elite individual performances and plenty controversy. But, best of all, we have only just reached the halfway mark. Allow Elephant Sport to run through some of the most exciting categories since our first instalment. Before even diving into the excellence of Mike D’Antoni’s team, we need look no further than the Rockets’ record during this half. Led by James Harden, they are sitting comfortably in 3rd seed with a 30-10 record. Add to this only two losses in 19 games. If the Rockets were the most improved team in the first quarter, they are undoubtedly the best one in the league right now. This has been aided by the return of potential defensive all-star, Patrick Beverley. A lot has been said about Houston’s lack of defensive prowess but, with the aforementioned point-guard back, many of the criticisms have been erased. Beverley is averaging more rebounds than any other player in the team. Meanwhile, the Rockets have climbed into the top 15 defensive sides in the league. But beyond number-crunching, this is a team rich in chemistry and unity. In a recent match against the Dallas Mavericks, small-forward Trever Ariza got into a verbal altercation with Salah Mejri. At the end of the game, the entire Rockets squad waited for the Mavs’ centre in an attempt to confront him. While violence is not to be condoned, especially in a professional environment, it’s refreshing to see the Rockets team stick up for one another when, just a few months ago, they had a lot of internal disagreements and issues. The Rockets are flawed – they certainly struggle to close out games and protect the rim when Clint Capela is missing – but they are living and prospering by the 3-ball. It could very well see them usurp many teams in the play-offs come season end. 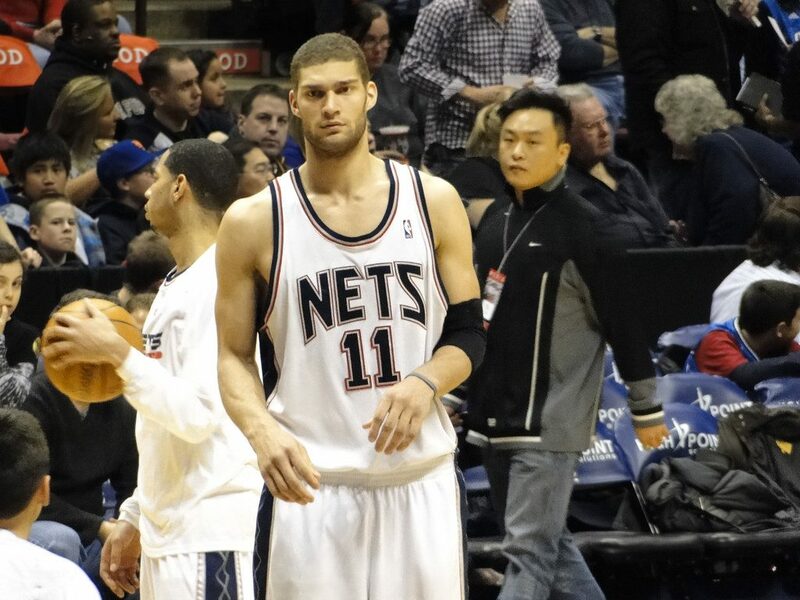 Neither Jeremy Lin nor Brook Lopez can lift the Nets out of their current rut. Which is ironic, since an arrangement of both their names phonetically adds up to Brooklyn. This pun is atrocious – much like the Nets have been this season. They are currently bottom of the Eastern Conference and, in 41 games, have yet to reach double digits in wins. Where the Nets have struggled most is in the creative department. Lin has been underwhelming and inefficient when running the point. Even when he has been at his very best, he has a lack of sharpshooters to lay the ball off to. On the other hand, Lopez has tried his hardest to deliver wins. But in the game where he dropped a mammoth 38 points – all from inside the post – his team still lost by a comfortable margin. Perhaps the over-reliance on these two stars has created a pressure hard to overcome for the Nets. But what is certain is this: they have an inefficient bench unit and a non-existent supporting cast. Sadly, they look to be tanking for the remainder of the season – a testament to how insurmountable they view a comeback or, at the very least, improvement. The Utah Jazz were almost unanimously everyone’s sleeper tip going into the new season. Many suspected they would finish in the top four in the West and, while they are currently sitting in 5th, just imagining that would have been far-fetched 20 games ago. After the first quarter, Utah looked devoid of confidence and quality. Despite the dominant play of Gordon Hayward and the robustness of Rudy Gobert, the Jazz were struggling to string offensive plays together. Fast-forward to January and they are now one of the league’s in-form teams. While the aforementioned players have turned in titanic performances, it is in the coaching that the Jazz have seen the biggest improvements. Quin Snyder has drawn up a variety of plays revolving around a combination of point-guard George Hill and Hayward that has led to some excellent ball circulation in recent weeks. Whether it is the long-range alley-oop, or the bounce pass-to-scorer, the two have struck up a chemistry unlike anything Vivint Arena has seen this term. Add to that Rudy Gobert averaging one rebound short of the number one spot and the Jazz finally look like that team everyone had expected them to be. 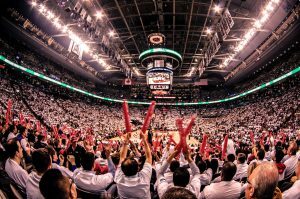 The Raptors may be one of the finer teams in the league; in their conference, they are second to only the Cleveland Cavaliers. While there is no shame in being second to the reigning champions and LeBron James, there is shame in being miles behind them. In the three times the teams have met up this season, the Raptors have been torn apart. Two of these games were in this highlighted half. What the Raptors missed most was a dominant centre – somebody who could prevent Kyrie Irving from entering the pick ‘n’ roll with Tristan Thompson. Furthermore, they lacked a real presence on offence inside the paint. This isn’t a team that shoots outside the perimeter often, so their reliance on inside scoring requires a centre who can do it on both ends. Unfortunately, there are very few centres that can dominate on both ends that are available. Certainly DeMarcus Cousins seems attainable but, since he seems closer to the Boston Celtics, it makes little sense to include him here. There is, though, one centre who is most definitely attainable. While he may still be young, the potential is there to become one of the finest at the five spot. That player is the Philadelphia 76’ers Nerlens Noel. The 22-year-old is up for trade now that the 76’ers are shopping for a point-guard. He is the unfortunate collateral damage of this search, since the franchise deems Joel Embiid and Jahlil Okafor to be more valuable assets. But when Noel plays, he dominates on both ends. And he is a former Round 1 pick in the draft (2014). 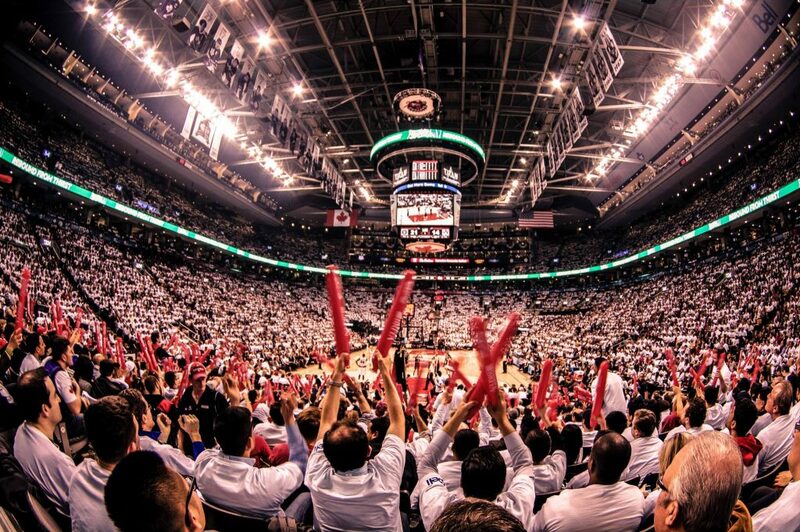 Under the wing of the Raptors – an inside scoring and rim protecting team – he could come into his own. This is a risk worth taking because it benefits the Raptors in the years to come. They may not be able to challenge the Cavs just yet but, if they can unite the right pieces, that could change in coming seasons. The Memphis Grizzlies were predicted to scrape the play-offs; a true bottom-of-the-barrel team. To say they have exceeded expectations is an understatement. In just the last 20 games, Memphis have defeated the Golden State Warriors and Cleveland Cavaliers. Oh, and the former they crushed twice. Mike Conley, a point-guard of immense quality, has been in and out of the team with injury. In his absence, they were unbeaten. Upon his return, they continued to win games. In veteran centre Marc Gasol, the Grizzlies have found a sharpshooting rim-protector. While that may sound like a preposterous hybrid, it is exactly what the Spaniard has become. He has hit game-winning 3-pointers and combined that with blocks and defensive plays aplenty. As the focal point of their play, Gasol has carried Memphis to 6th in the West within a couple of games off 4th. Only one man seems worthy of the award as of this halfway mark. 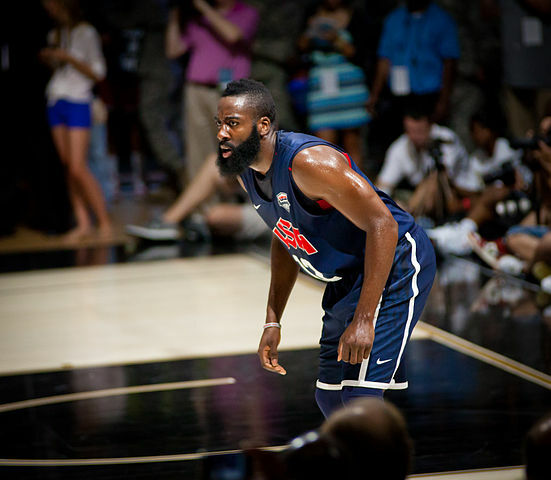 James Harden has dominated the NBA in recent months, breaking records and personal bests alike. He carved out his highest points (51), assists (17) and rebounds (18) in a historic night against the New York Knicks on New Year’s Eve. He is the first player in NBA history to amass a triple-double of 15-15-15 or higher; he also leads the league in assists by a country mile. Why Harden instead of Russell Westbrook, some may ask? It’s simple. Westbrook is registering crazy numbers, too. But his team isn’t winning as often, or emphatically, as the Houston Rockets. That plays a part in contention for the MVP award, particularly when The Beard’s team were ruled out of play-off contention by many punters. Coach D’Antoni has placed immense belief and confidence in Harden – asking him to command the ball with more regularity and lead the team. This was something Harden had been criticised for in the past: leadership. That, and defence. It would be an understatement to say he has quashed those criticisms this season. Houston are winning and Harden is playing his heart out. If voting were to end today, the MVP of the 2016-17 season would be as clear as day. Joel Embiid is the first, and only, repeat appearance of this series. Yet that’s more of a mixed bag than a clear indication of Embiid’s annihilation of the award. 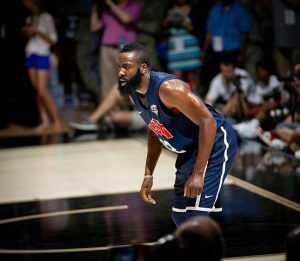 While the Cameroonian centre has undeniably been the best rookie so far, there is an argument to be made that nobody is actually challenging him. Buddy Hield, for all his enthusiasm, has struggled to find consistency in New Orleans. Meanwhile Brandon Ingram looks far too meek for the NBA as of right now. Perhaps Embiid’s dominance is, too, down to the fact that he is one of the oldest rookies in contention for the award. This, of course, is owed to his 26 month injury. But, on the flipside, for him to be playing at the level he is considering said injury is mind blowing. He could genuinely get into the all-star team come February – he’s currently fifth in the West’s frontcourt voting (top 10 take part in the all-star game). The last rookie to achieve such a feat was Blake Griffin in 2011. He’s also averaging 19 points and seven rebounds a night, despite a minutes restriction to prevent injury. This was the best dunk of 2016 – and it wouldn’t surprise anyone if it remained better than anything conjured up in 2017. Larry Nance Jr. channelled his inner-Michael Jordon to throw it down on one of the better rim protectors in the league: Brook Lopez. A man four inches taller than the Lakers’ power-forward. The best defensive plays either win you games or flip opposition possession into your own points. Kevin Durant’s emphatic chasedown block, collected by Stephen Curry and dispatched for three, falls into the latter. And it’s a thing beauty.